Posted by bobtraupman on December 21, 2012 in Advent 2012, What is Love? LUKE TELLS US THE CHARMING STORY THAT GOD BECAME INCARNATE — ENFLESHED — AS A LITTLE VULNERABLE BABY BOY. IT’S AMAZING TO REALLY THINK ABOUT THAT. EVEN IF YOU’RE NOT READY TO ACCEPT THE STORY AS TRUE, THE MEANING OF THAT STORY CAN REALLY GRAB YOU IF YOU LET IT. BUT, SADLY, SO MANY OF US CELEBRATE CHRISTMAS ALL OUR LIVES WITHOUT REALLY REFLECTING ON THE IMPLICATIONS OF THE STORY FOR OUR LIVES. JESUS WAS NOT ONLY VULNERABLE IN HIS BIRTH, BUT ALSO IN HIS DEATH. HE CHOSE TO STAND BEFORE PILATE, BOUND, SCOURGED AND SILENT. HE CHOSE TO SAY NOTHING OR DO ANYTHING IN HIS DEFENSE. I THINK ABOUT THAT A LOT BECAUSE I AM POWERLESS A LOT WHEN I’VE HAD TO DEAL WITH DEPRESSION. THERE WERE DAYS I COULD NOT GET OUT OF MY CHAIR. I SPENT OVER A YEAR INSTITUTIONALIZED BECAUSE OF MY BIPOLAR ILLNESS OVER THE YEARS. YES, I LEARNED THE MEANING OF PAUL’S WORDS, “WHEN I AM POWERLESS, THEN I AM STRONG.” I HAD TO. FOR MY SURVIVAL’S SAKE. AND AS A RESULT, I BEGAN TO THRIVE. HOW? BECAUSE I FOUND THE SECRET. I FOUND THE SOURCE OF POWER IN CENTERING PRAYER IN THE CORE OF MY BEING ~ EMMANUEL: GOD~WITHIN~US! AS NEEDY AS ANY OTHER BABY. 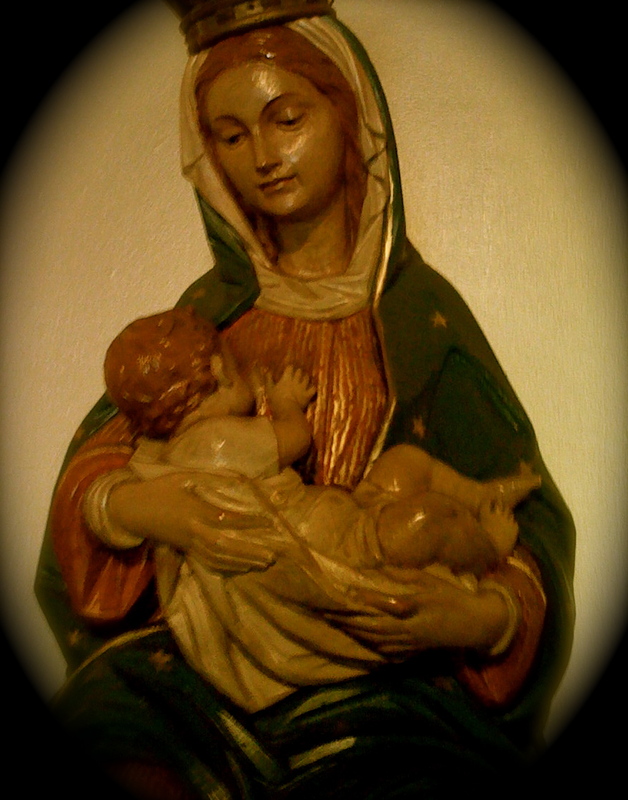 AND RECEIVED YOUR NOURISHMENT AS GOD FROM A HUMAN MOTHER. YOU BECAME ONE OF US AND WITH US. ~ OUR MISERY, OUR JOYS AND SORROWS. YOU CAME DOWN TO OUR LEVEL TO RAISE US UP TO THE DIGNITY OF GOD. COME INTO OUR WORLD THIS DAY. TEACH US TO ACCEPT OUR OWN VULNERABILITY AS SOMETHING POSITIVE. FOR THEY CAN BE OUR MOST RADICAL SPIRITUAL TEACHERS. ~ THAT VULNERABILITY AND POWERLESSNESS ARE VERY GOOD TEACHERS. COME, LORD JESUS! COME INTO OUR HEARTS THIS DAY. NOW, BEFORE YOU GO, HERE’S ANOTHER YOUTUBE VIDEO FROM HANDEL’S MESSIAH ~ UNTO US A CHILD IS BORN, PERFORMED BY THE MIGHTY MORMON TABERNACLE CHOIR. BE PREPARED TO BE INSPIRED. CLICK HERE BE SURE TO TURN UP YOUR SPEAKERS AND ENTER FULL SCREEN. HERE ARE THE MASS READINGS. CLICK HERE. ← ADVENT DAY 20 – WHAT WONDROUS LOVE IS THIS? May God’s presence among us continue to recreate the world.